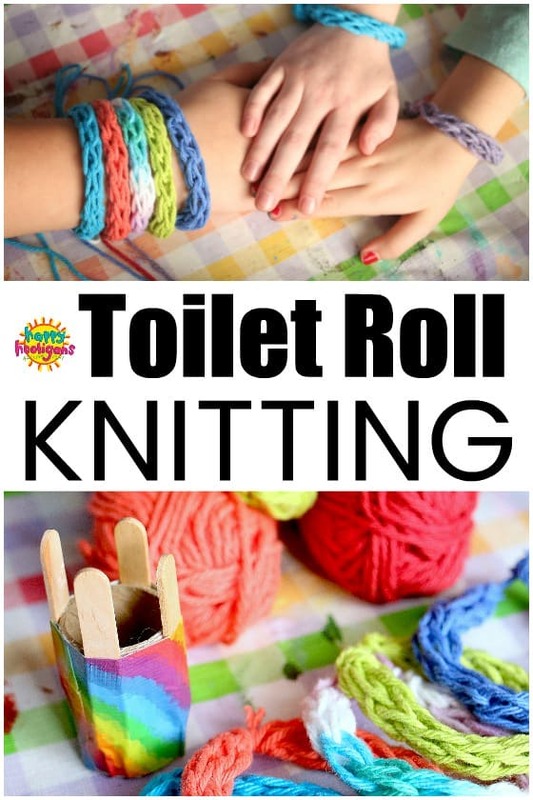 Toilet Roll Knitting, also known as french knitting, is one of those classic childhood activities that kids of all ages will enjoy. It’s fun and easy, and projects knit up really quickly. 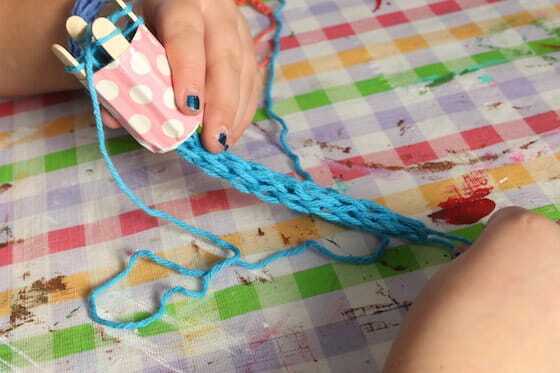 Using a loom made from a toilet roll, or any cardboard roll, even the youngest crafters can knit up a friendship bracelet or a scarf for a doll. In this post and video, you’ll learn how to make a toilet roll knitting loom, how to cast on stitches, how to knit on your homemade loom and how to cast off your stitches to finish your project. 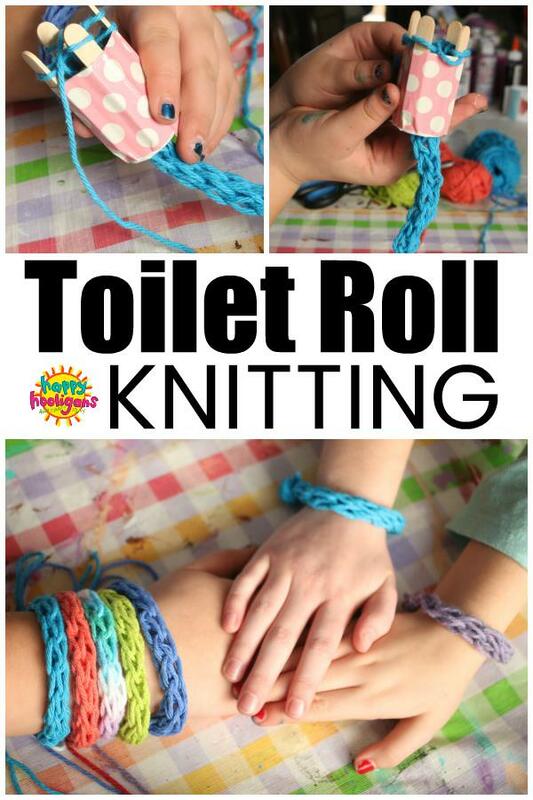 What is toilet roll knitting? Toilet Roll Knitting is a form of French Knitting, and a fun way to introduce children to knitting. 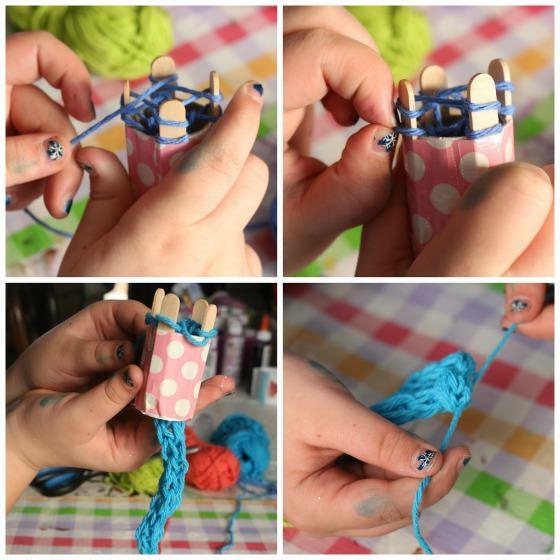 Your knitting loom (also known as a Knitting Nancy), is made from a cardboard roll and craft sticks. 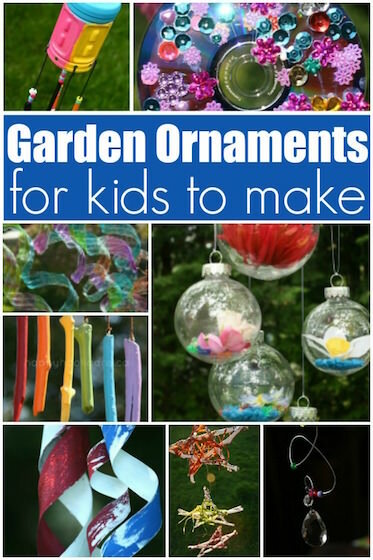 It’s really easy for kids to use, and they love how quickly their projects knit up. Basically, with toilet roll knitting, you wind your yarn around your cardboard loom, and as you work, your yarn forms a knitted tube that’s fed down through the centre of the cardboard roll and out the bottom. 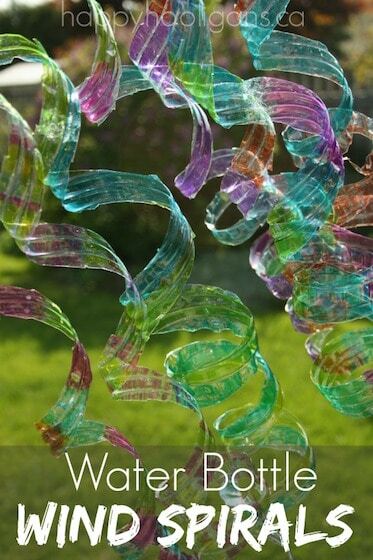 You May Also Like: Weaving on a Cardboard Loom, Circle Weaving on a Cardboard Loom and CD Weaving. It’s just like the spool knitting we used to do when we were kids when we’d wrap yarn around nails hammered into the top of a wooden spool. You may have had a plastic spool knitting kit when you were a kid too. I had one with spools in all different sizes. I loved it. The hooligans love yarn crafts. We’ve done a ton of them over the years, and they’re really getting into learning how to sew too, so I thought it was about time to introduce them to knitting. Not having any wooden spools or plastic french knitting kits on hand, I decided we’d give toilet roll knitting a try. The looms were so easy to make, and worked perfectly, but we made one little tweak to ours which turned out brilliantly! 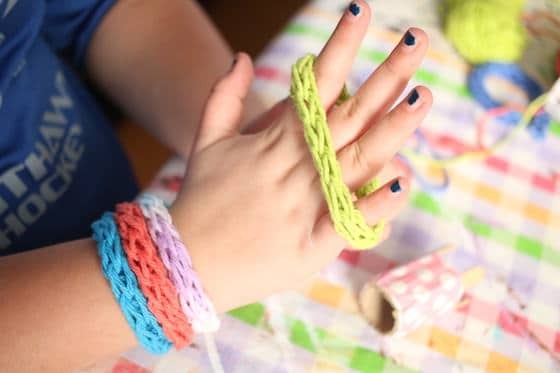 When kids are knitting with a loom made from toilet rolls and craft sticks, it can be a little frustrating because the yarn can easily slip off the craft stick when they’re making their stitches. To solve this problem, I glued a small button to the top of each craft stick. The button acts as stopper, and prevents the yarn from sliding off the stick when you pull your stitch over the top. This little trick works like a charm! Let me show you how easy it is to make your loom and how to knit with it. 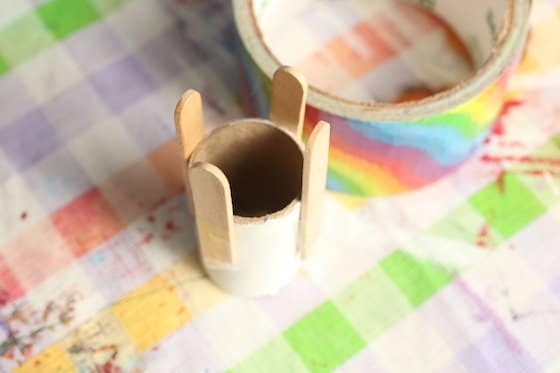 Cut or break 2 craft sticks in half, and position the 4 pieces evenly around your cardboard roll. With a hot glue gun, glue them in place with about 3/4 inch extending beyond the end of the cardboard roll. 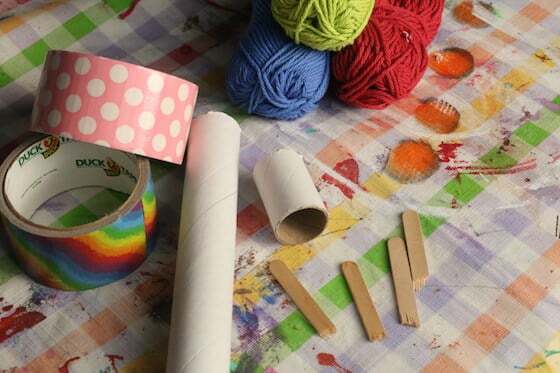 Cover the roll with colourful duct tape and hot-glue a button to the top of each craft stick. Drop the end of your yarn down the centre of the cardboard roll, letting a 4-5 inch tail hang out the bottom. Keep a gentle hold on this tail of yarn as you begin to cast on your stitches. Nudge the yarn down to the bottom of the stick and start knitting! Lay your yarn across the first craft stick, just above the stitch that you cast on. With your fingers or a wooden skewer, hook the lower stitch and gently pull it out over the stitch above it, and all the way off the craft stick. let it fall to the other side of the craft stick. Gently pull the tail of the yarn to tighten the stitch a little. Continue around your loom, doing the same with each craft stick: lay the yarn across, pull the bottom stitch up and over the yarn above it and off the end of the stick. Remember to give the tail of yarn a tug from time to time to tighten up the stitches. Continue with this form of french knitting until your project reaches a length that you’re happy with. When you reach the end of your project, you’ll need to cast off your stitches in a way that secures them, and keeps your project from unraveling. Cut your yarn, leaving a tail at least 6 inches long. Thread a sewing needle with this tail. Each of your craft sticks should have just one stitch remaining on it, and these stitches will form little loops once removed from the sticks. Slide the sewing needle up under one of the stitches and slip the loop off the craft stick. Proceed around the loom, until all of the stitches (loops) are off the loom, and on the yarn on your sewing needle. Gently pull on the tail and the loops closed, and tie a knot close to the loops to secure everything in place. Tie a similar knot at the opposite end of your knitting. Your toilet roll knitting project is complete! 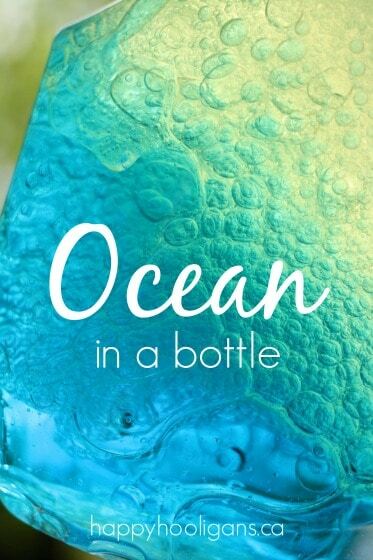 What will you make with it? What Can You Make with Toilet Roll Knitting? 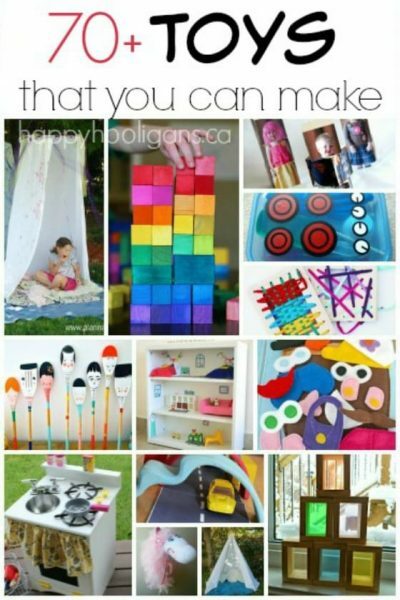 Kids can make their knitted tube as long or as short as they’d like, and they can make lots of different things with them. 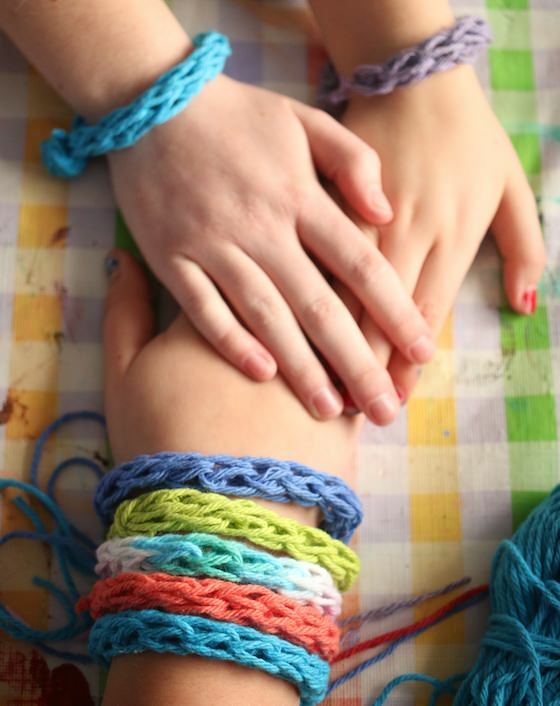 We made friendship bracelets today, but kids can also use toilet roll knitting to make a headband, necklace, doll scarf, skinny scarf, belt, or any number of cute and creative decorations.